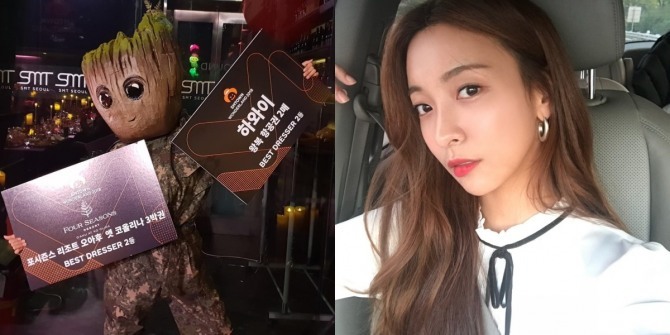 Following is a roundup of what went down at S.M. 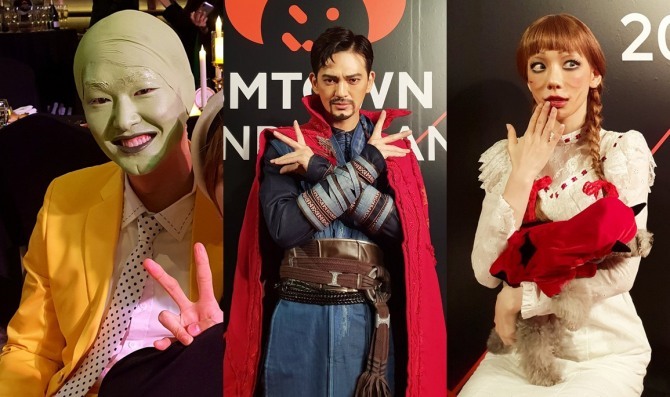 Entertainment’s star-studded yearly Halloween costume party. Let’s keep the words to the minimum and let the photos do the talking! 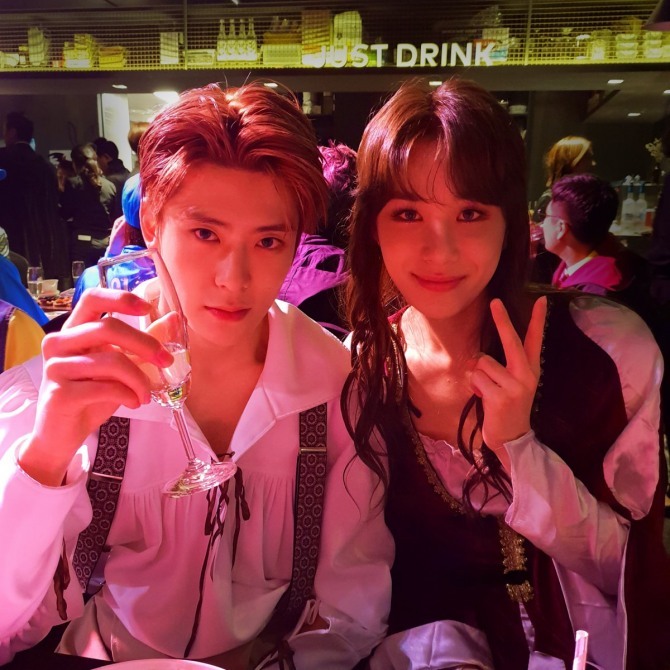 The NCT duo did the iconic pose at the photo wall, prompting fans to plead for a remake of the cinematic classic featuring the two. Traxx did an impressive makeover as Doctor Strange as well, complete with the signature furrowed brows. 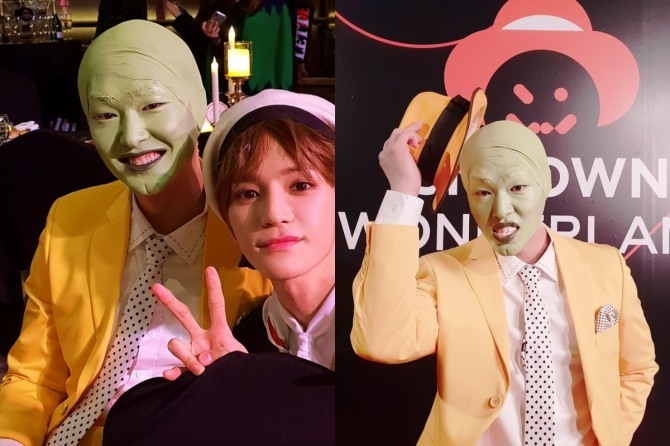 Onew practically covered his cranium in green paint. It really showed his dedication to master the look of the role made famous by Jim Carrey in 1994’s “The Mask”. 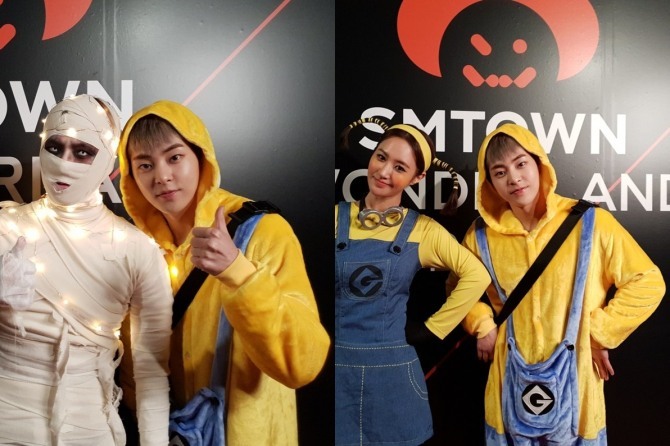 Taeyeon dressed up as the eponymous scary doll from 2014 horror film “Annabelle.” Taeyeon’s puppy Zero tailed along in a red poncho as well. 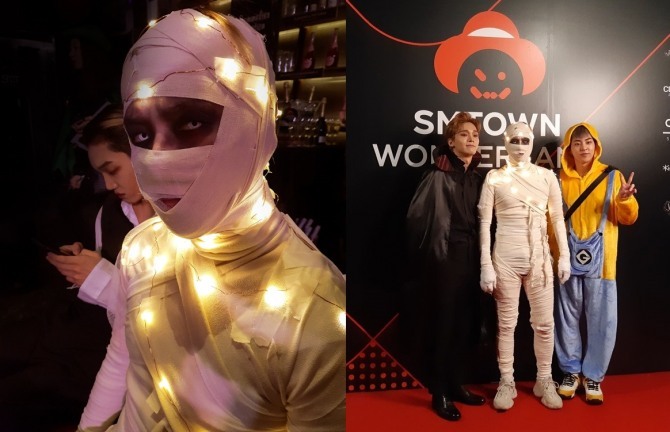 Baekhyun, who went as a mummy, was bandaged from head to toe with only his eyes showing -- the scariest part of the dead person ensemble. Sunny wore elliptical green eyes that made for a very scary reptilic being. Would you dare look her right in the eyes? 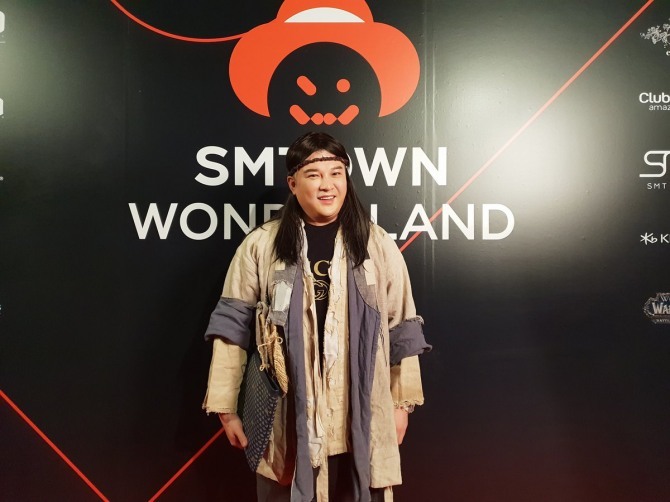 Shindong of Super Junior went as a hobo in disheveled rags and unkempt hair -- except the Gucci shirt that totally belied his hobo stunt! Your superstar status is showing, Shindong. 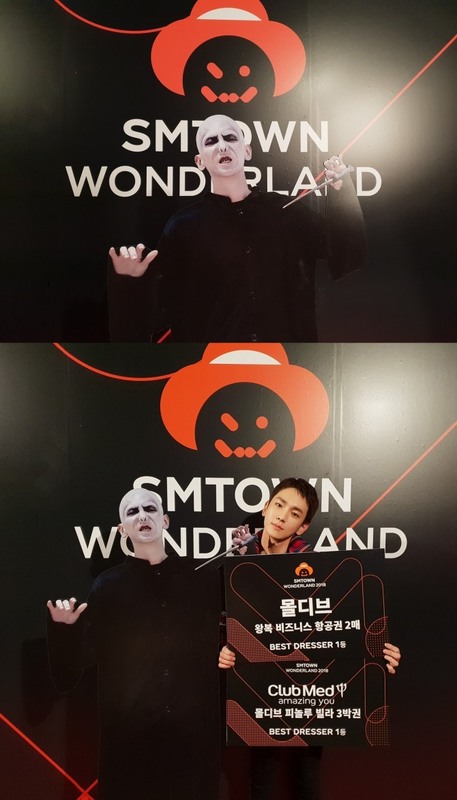 Key outdid himself this year. 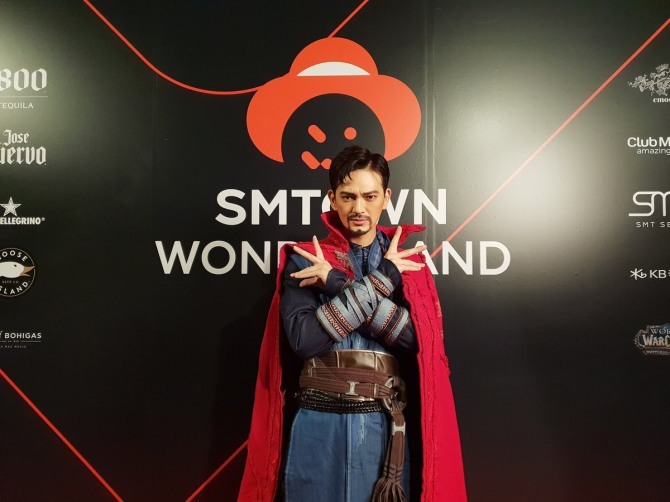 He was named best dressed this year and totally deserved it for taking on the role of the villain of the “Harry Potter” series.